It is true that by commenting on other blogs, you can effectively get traffic to your blog. But, another truth is that blog commenting is one of the most abused and misused methods of blogging on the web. Blog commenting must be used as a daily blogging practice that can increase your traffic remarkably. It will also enable you to create many close relationships and build loyal fans, but there are many misconceptions about how to utilize blog commenting in an efficient manner and what makes it highly effective. So, let us begin with how and why blog commenting on other blogs work and what you can do to drive maximum amount of referral traffic from your commenting efforts. How does blog commenting work? Blog commenting functions by drawing interest to you as well as your business via the interaction you create and thoughtful comments you make on other blogs that are related to your niche. Commenting provides you the opportunity to demonstrate your sincerity, knowledge, and expertise. The comments you make reveal who you are and the nature of your work. The more useful, helpful and intelligent your comments are the more you get noticed by other bloggers. However, if your comments are unrelated, worthless spam, this won’t happen at all. Here, spam indicates that the comments provide no value to the post or the readers. Most of the unrelated comments are made for getting a backlink to the commenter’s site. How to get rid of Spam Comments and Spam Emails? As stated above, many unscrupulous bloggers make use of commenting as a way to develop one-way links backs to the blogs they own or the ones they are working for. However, the spammers fail to realize that the reputable bloggers won’t publish those spammy comments. As a matter of fact, the backlinks that come from blog footers, sidebars and comments carry very less search engine weight when compared with the links you get from high-quality sites within their content. You might now wonder why do blog commenting at all? Making useful, thoughtful comments on niche related blogs can get you more traffic when compared with relying on search engines for linking back to your site. But, the real beauty that lies underneath this blog commenting on other blogs is the building of healthy relationships. Readers will visit your blog if they get inspired. If they get attracted to the content of your blog, they can comment there as well. You, in turn, can visit their blog exchanging thoughts and comments. You would have become friends before you know it. This often leads to content exchanges, regular traffic, and more sales, hopefully, more profit. With your blog, you are now building a social community attracting regular traffic and more readers. This is all you need to know about blog commenting. You must now be able to understand that the way in which you use blog commenting is what makes the real difference. How do you make use of blog commenting to drive traffic to your blog? Offer opinions, ideas, and insights in your comment that readers will find useful. This builds your credibility and demonstrates your knowledge and expertise. It would be better if you personally address the author of the blog post. Always thank your host for giving you the opportunity to comment on his site and end with sincerity of thought. Below here are few key tips to make sure your comments get posted. They will help in increasing the chances of others clicking through to your blog depending on your comment. Write a minimum of 2 to 3 quality sentences that a reader finds insightful and interesting. You can be controversial, but you cannot be offensive at the same time. You can pose a question if you are unclear about something in the post as others may also be feeling the same. You can mention anything if you find it incorrect or if you don’t agree with something. But, you must say it with respect and tact. In the ‘name’ section of the comment, you must use your real name. You are allowed to put a keyword phrase as a name by few blogs but not all of them. Your real name will add a personal touch. It is better to use a picture gravatar as it adds an element of sincerity and trust. Pointless comments like “Your site has everything that I need to know,” “Great info,” and “Love your post” must be avoided. Bloggers don’t look for flattery. They love it when a value is added to the topic. Refrain yourself from including links to sales pages. Make comments only with the intention of building relationships, helping other readers and adding value. Never make comments that don’t make any sense. The comments that don’t directly relate to the post and contain spelling errors, poor grammar or wrong information will get deleted. So, use some good tools for checking Grammar and spelling mistakes like I am using Grammarly. There are many commenting WordPress plugins which You can use, but DISQUS is also good for commenting. Numerous blogs are using Disqus these days for their commenting. You will get some traffic for it even though this does not have a direct link to your blog. Over time, you can enhance your credibility by building up your Disqus portfolio. If you are using WordPress for Your Blog than CommentLuv Plugin can help you to get more comments on your WordPress blog. There are millions of WordPress Blogs which are using commentLuv for their blogs. And you can see this Blog is also Using it. And Also we have a list of CommentLuv blogs which can help to build some good quality links. Blog commenting requires dedication and time like blogging. Set aside time for doing it at least once in a week. Spend some time commenting on blogs that are relevant to the particular industry. It will take more time in researching about these blogs in the beginning but create a spreadsheet, and you will have a list of high-quality blogs eventually to visit on an ongoing basis. Blog commenting can be an ideal strategy if you are looking to drive traffic to your blog without depending upon spammy tactics or search engines. It develops trust, credibility, builds relationships, creates an opportunity to help others and this is what draws others to you. Savaram Ravindra was born and raised in Hyderabad, popularly known as the ‘City of Pearls.' He is presently working as a Content Contributor at Tekslate.com and Mindmajix.com. His previous professional experience includes Programmer Analyst at Cognizant Technology Solutions. He holds a Masters degree in Nanotechnology from VIT University. You can Connect with him also on LinkedIn and Twitter. This just plain makes sense Savaram and is one of my favorite ways to drive blog traffic, to make good blogging buddies, to assist people and to rock out my blogging profits too. Even wrote an eBook on the topic a few years ago that is still selling today. No barriers to entry either. Write a good, helpful comment, stay out of the spam folder and you are good to go. Thanks for the comment and I know that you are an excellent blogger and no doubt a good commenter too. And It looks like you liked the Savaram ‘s post. As Ryan said, it is one of my favs. Subjects too! Yes, our comments can make a tremendous change in our blogging journey in many aspects, traffic is one among them. I posted an article in this regard on my page under the title. “The Power of blog comments” he is the link. I am sure thus gives some more insights into the subjects. Robin glad to read Ravindra’s post on your page. Double happy to know that he is from my city. Blog commenting has always been a big help, and We all know how big it is. So, thanks for being here and I am glad that you liked this post. 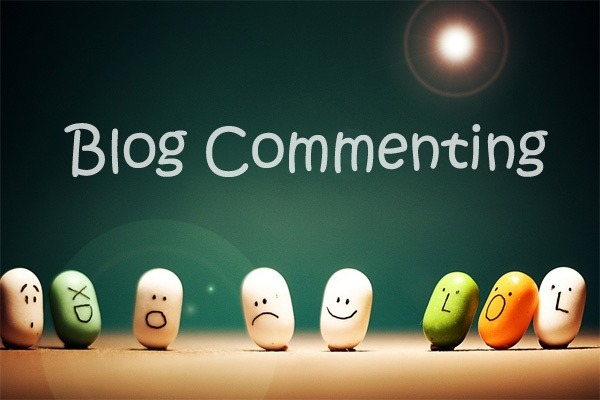 Blog commenting should be a daily activity to people especially bloggers. This enables them to contribute on other blogs. Thus, mutually enriching the blogosphere. Blog commenting is the best way to drive traffic and backlinks to my blog. For me, I always try to comment on niche commentluv blog, because compare to other commenting systems it gives me good backlinks. I think forums are also a great way to drive traffic to your blog. Additionally the links in the signature provide a solid backlink to your blog/website. That’s a very insightful post from Saravanam Ravindra. Blog commenting is not only useful for driving traffic but it is one of the most amazing ways to buikd relationship with fellow bloggers. Everyone loves to know opinion about their work and blog commenting is the best way to do it. Comment luv is something i love personally. Disqus also a very good idea to create backlinks. Your points on commenting make a lot of sense. Or “comment sense”. Are you adding value to the conversation? I have one site that gets a number of spam comments every day with random comments and links to questionable sites. They all go in the trash. I love comments that help me improve the post or add something I may have forgotten. I try to spend some time every day reading blog posts to learn more and try to build relationships. Thanks for the comment. And I am always finding ways to make good relations with the other bloggers. This is an interesting post! I find blog commenting as an important factor to take care as it adds traffic to your blogs. Having said that, I’m more inclined to using CommentLuv over Disqus, one reason is I haven’t had the chance to use it, and with CommentLuv when leaving a comment you can definitely use it as a backlink when approved. Is it the same case with Disqus or how does Disqus work in the backend? Thanks for your time! Thanks for this awesome post! thank you sharing this useful data for knowledge purpose. This is really a considerable post – Clear enough and easy to follow on the topics of. Great Presentation.